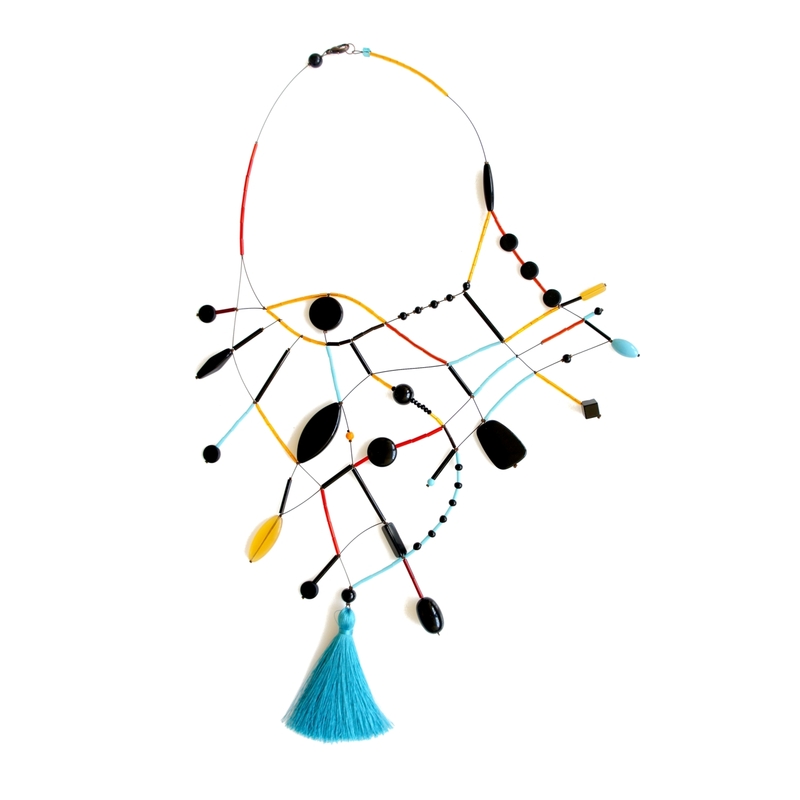 Handmade necklace inspired by an abstract interpretation, represents a drawing elaborated through a thin wire and colored bugle beads, playing with different line thicknesses, yet maintaining a special balance between the various components and the colors. 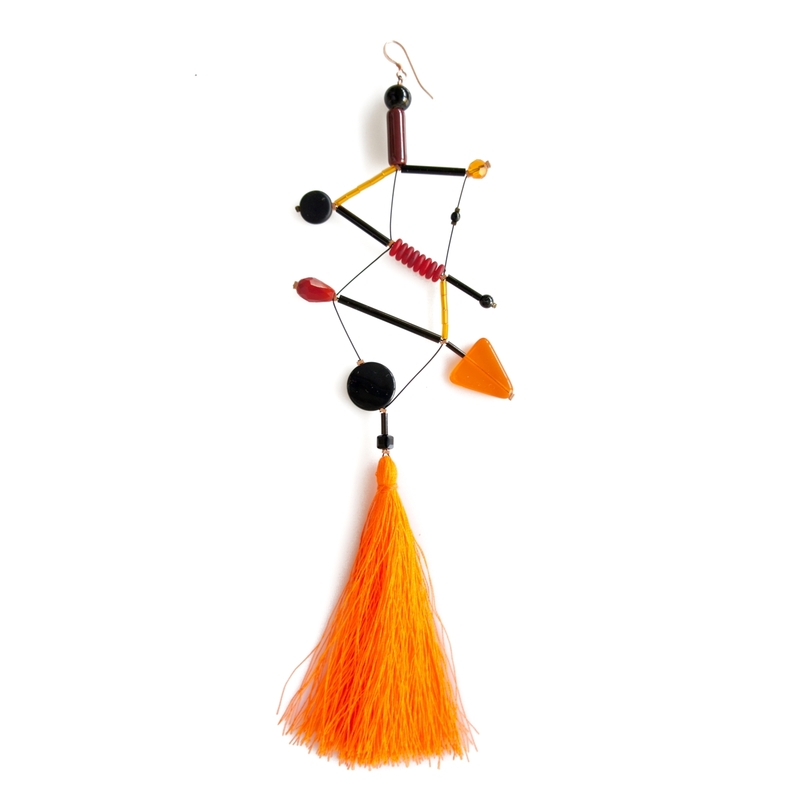 The textile tassels inserted into the composition create a lively effect with the other materials that vary between glass, resin, ceramic and semi-precious stones. 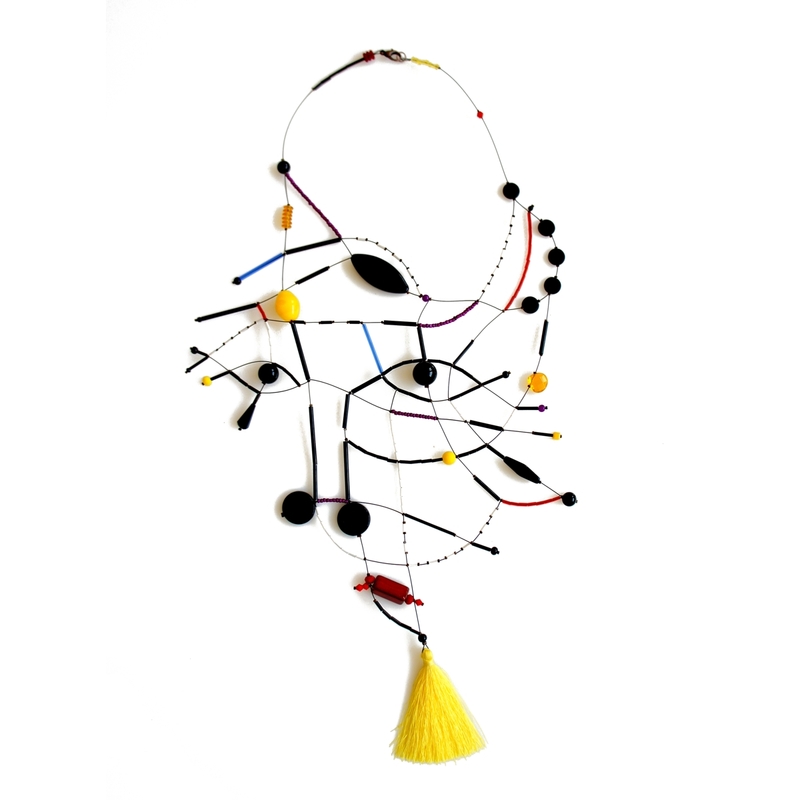 In some pieces you can discover faces, eyes and other elements of the face interpreted in an abstract way. 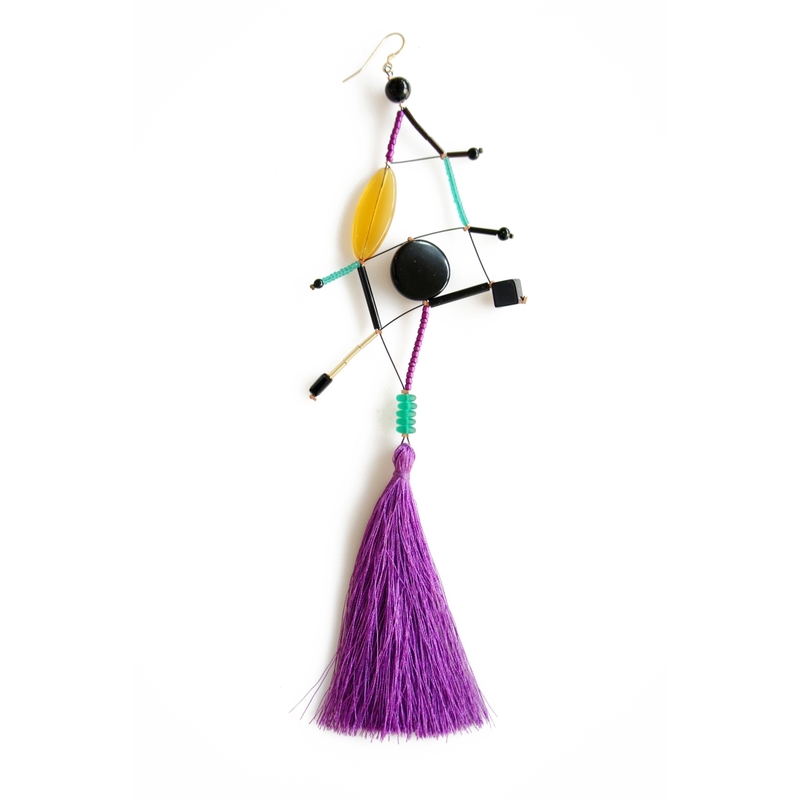 The necklaces are light, they look like colorful graphic drawings embroidered on the clothes.